Mommy Moment's with Abby's Review of Allen's canned products: I love to cook and so anything that helps make that healthy and easier is appreciated. Upon receiving this review I had the idea that making a meal with the kid's for father's day would be a great gift! For an appetizer you can mix the spinach with cream cheese, bits of shredded cheddar and chopped almonds for a great spread or dip. Mixing the corn with the veg-all is a great side dish for your meal. Sprinkle on it some Italian seasoning for added flavor. The beans are great to put in a salad. Pan fry up some Salmon to top of the amazing meal for the dad in your life! The kids will love to participate and everyone will get a nice healthy meal while showing their appreciation of dad! I love a good meal with healthy options! 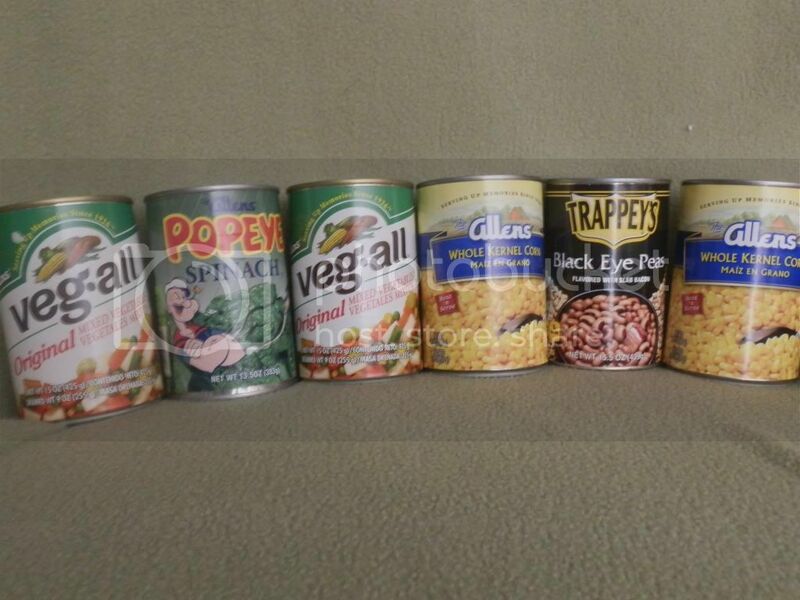 These are great canned selections for meals in my house!